Often times, kids are found to take parents and their homes for granted. They assume it’s alright if they don’t keep their beds neat, cupboards arranged, or the books in place in the library. 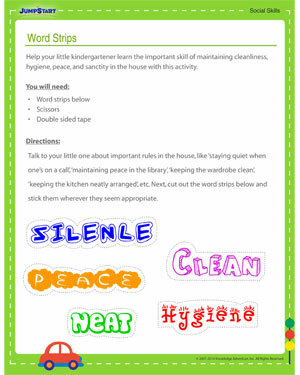 Help your little kindergartener learn the important skill of maintaining cleanliness, hygiene, peace, and sanctity in the house with this fun social skill activity.